On Sunday morning, 29 April 2014, intelligence agents arrested Nasim Bagheri, one of the professors at Iran’s “Baha’i Institute of Higher Education” (BIHE), at her house to carry out a 4-year prison sentence. Nasim Bagheri has been incarcerated for more than two years in the ward for political prisoners and prisoners of conscience in Tehran’s Evin prison. Nasim Bagheri was born in 1983 in Tehran. She has two sisters and a brother. In this family, Nasim and her sister Negar studied at BIHE. After finishing high school and receiving her diploma, because Baha’i youth are precluded from study at universities and colleges in Iran, Nasim continued her education in general psychology at the Baha’i Institute of Higher Education. After about five years, she received a bachelor’s degree in this field from BIHE. 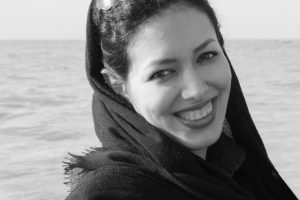 After finishing her undergraduate studies as well as passing the International English Language Testing System (IELTS), unlike many of her classmates who left Iran to pursue their studies abroad due to the rejection by the Iran’s Ministry of Higher Education of their bachelor’s degree from BIHE, Nasim Bagheri preferred to stay in Iran. Every child and adolescent who studies hopes after receiving their high school diploma to enter university and study in their field of interest. But this rule does not apply to Baha’i youth residing in Iran; because of their religious beliefs, they are not allowed to study at universities in the country. 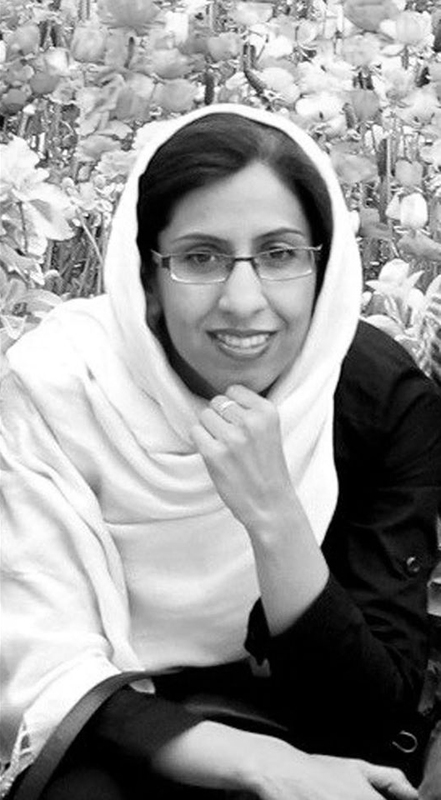 Nasim Bagheri, who tasted the bitter flavor of suspension from education, decided that instead of studying abroad, by joining the faculty of the Baha’i Institute of Higher Education she would help as much as possible to meet the needs of young Baha’is barred from higher education. Nasim started to work first as an associate professor but later began to do some of the administrative tasks like students’ admission of the Virtual Institute for Higher Education. With an increasing number of graduates from the Baha’i Institute for Higher Education and their desire to pursue continued education in Iran, BIHE, which is a virtual institute with an educational program based on Internet communications, offered a Master’s degree in some fields of study. One of these areas was General Psychology, in which Nasim Bagheri continued her education, and so she graduated with a master’s degree after two years. Until her arrest she then continued as a professor at the Baha’i Institute of Higher Education in Iran, teaching courses such as the schools of psychology and psychopathology to Baha’i youth. On May 22, 2011, many Baha’i citizens’ homes connected to the BIHE were raided, and fifteen were arrested. One of the homes of Baha’is which underwent a full inspection was that of Nasim Bagheri and her family in West Tehran. Nasim was not arrested that day, but in the following days she was summoned to the office of Records Prosecution located on Enghelab Avenue and was interrogated. A few months later, to complete the information, she was summoned to this site and again interrogated. 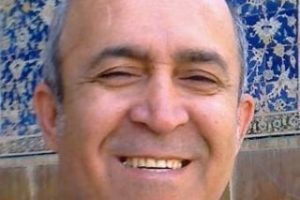 On 22 March 2012, Nasim Bagheri and nine other Baha’is, all instructors at the Baha’i Institute of Higher Education, were summoned to Evin’s Shaheed Moghaddas court, for their last defense. During this meeting, they were asked to sign a pledge not to cooperate with BIHE in return for their freedom. Nasim was among those who refused to sign the pledge; she then was charged. The charges against her included: membership in the anti-security Baha’i organization, membership in the illegal BIHE organization, and acting against national security. At the end of the session, Nasim Bagheri was released on bail of five million rials (approx $160). On 8 October 2013, in Branch 28 of the Revolutionary Court of Tehran presided by Judge Moghiseh, Nasim Bagheri was tried and sentenced to four years in prison. In late February, the same preliminary sentence was upheld by an appeals court. Two and a half months later, on 27 April 2014, police officers arrived at the home of Nasim Bagheri, arrested and transferred her to Evin prison to carry out her sentence. During the 29 months of her incarceration, she only once had a six-day furlough in January 2016 for her sister’s wedding. Although she was eligible for leave, for unknown reasons she and her family’s repeated requests were not approved. She was also diagnosed with thyroid disease, and every six months, under guard she is transferred to hospital for treatment and after a few hours, she is returned to prison. On the other hand, during these years Nasim’s family has been under pressure. In 2016 Negar Bagheri (Nasim’s sister), just a few days before her wedding, was arrested and released on bail after two months. Also, her cousin, Kayvan Pakzadan, on June 2016 was incarcerated for a month in Ward 209 of Evin Prison. He is now awaiting a trial date. One has to wonder at the mentality of those carrying out these raids and those behind them . . . how anyone in their right mind can even begin to justify to themselves such blatant persecution. Education is not a crime. Muhammad would weep with shame over the action of these militant mullahs in power in Iran who so degrade his religion.